Without an auditor ever stepping foot in their buildings, facility managers are gaining insight into how much plug loads account for their buildings’ energy consumption. On average, plug loads accounted for 38% of the energy consumption in six office buildings analyzed by the study. Virtual energy assessments can provide useful recommendations for cutting energy use and are an affordable alternative to more comprehensive walk-through audits, according to a study conducted by A Better City (ABC), a nonprofit organization based in Boston, Massachusetts. 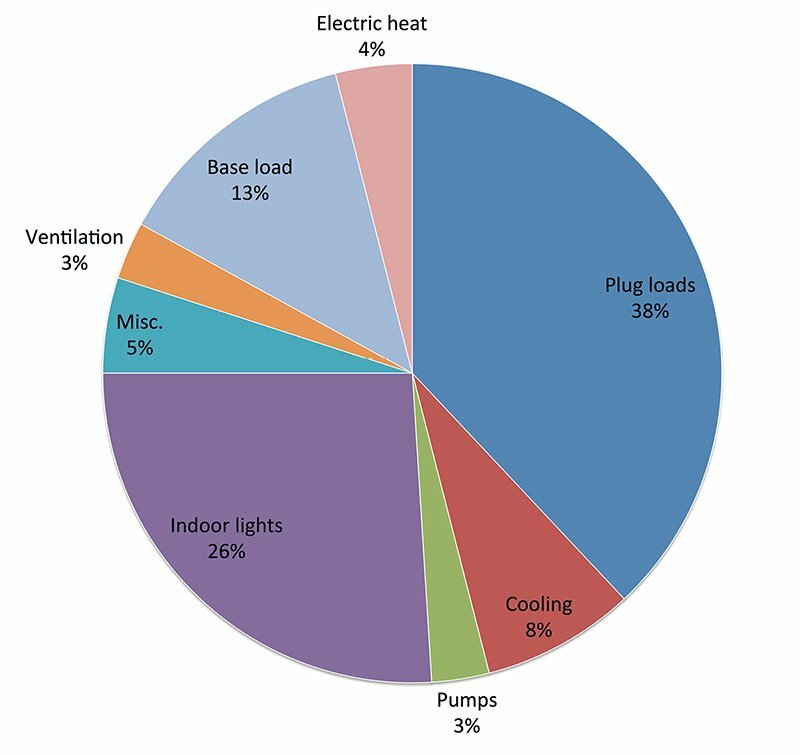 With only a building’s address and a year’s worth of 15-minute or hourly utility data, virtual assessments by the energy-audit software company Retroficiency produced an energy-use breakdown that revealed plug loads accounted for the biggest portion of energy use in the sample—38% in office properties and 35% in hotels. By implementing targeted “action steps” spanning all areas of energy use, the nine buildings studied could potentially save a combined $1,431,487 in energy costs, according to the report. There were some limits to what an assessor could ascertain remotely. One building that was steam-heated and -cooled received an impractical recommendation to install variable-frequency drives (VFDs), for example. Study participants also expressed frustration over recommendations to reduce plug loads because they believed there was little they could do to influence occupant behavior. In general, however, most reported that they were surprised at how much information the virtual energy assessment could provide. The U.S. Department of Energy and the General Services Administration have also used virtual energy-assessment tools to quickly identify areas of improvement in operations as well as to guide potential upgrades. ABC suggests that this technology be recognized as an alternative to the ASHRAE Level-2 audit, which is currently designated as a way to comply with Boston’s Building Energy and Disclosure Ordinance taking effect May 2014.